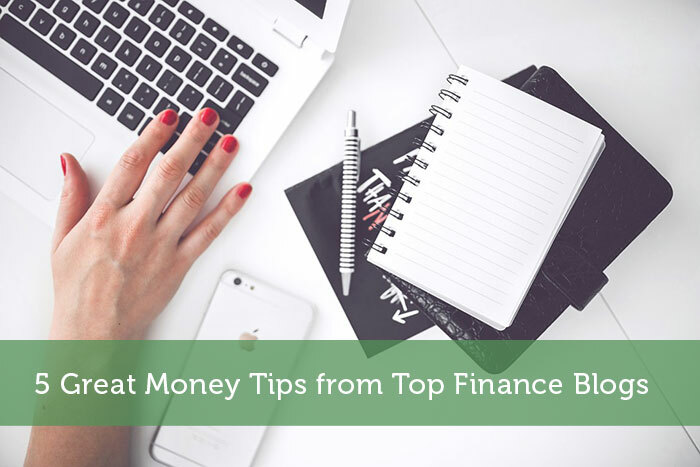 Did you know that here, at modestmoney.com, we keep a regularly updated ranking of the top finance blogs? The Web is abundant in personal finance content, but with so much of it out there it can be overwhelming to keep track of everything. To make it easy for you we’ve curated five posts from five of the best personal finance blogs. Below you’ll find a short description for each post followed by a hyperlink to the article. The idea of keeping holistic wellness—maintaining well-functioning spirit, body, and mind, has been surging in the past years but often leaves out a crucial element—financial wellness. Money-related stress can push out the window all of your other efforts to keep a balanced and healthy life. The American Psychological Association reports that 62% of Americans feel stressed about money. Financial insecurity affects all areas of life and is one of the leading causes of divorce, social alienation, and depression. With this post, moneyunder30.com suggests five actionable ways for you to evaluate your financial situation. Wouldn’t it be awesome if you could just kick back and let money work for you while you enjoy mai-tais on some ever-sunny beach? You’ve probably heard that such a lifestyle is possible with passive income ventures, but these are not always affordable especially if you are already in debt. Fortunately, thecollegeinvestor.com—which caters to college students, who are not known for their deep pockets—offers a list of seven passive income ventures for tight budgets. Don’t get misled by the blog’s name; everyone can do the stuff laid out in the article. Granted, these ideas might not let you retire early on the Bahamas, but they’ll definitely help. Summer is coming which means that for many it’ll be vacation time. It also means that after most of us have long failed our New Year’s resolutions, it’s time to set up those for summer. Whether your goal is to get in better shape for the beach or to travel to your destination in first class, the earlier you start saving, the more fun you’ll have during your time off. For this purpose, thepennyhoarder.com has compiled 50 ways you can earn some side cash. There are side hustle ideas for every taste. Even for aspiring mermaids. Saving on small expenses is probably not a priority for you, but a dollar here, a dollar there, adds up to a sum that you can put to better use. Financial writer David Bach calls it “the latte factor”—the idea that when taken as a whole, small, everyday expenses can contribute to a decent investment portfolio. To help with that, moneytalksnews.com has come up with these nine small expenses you can save on and redirect to smart investments. You can easily find out how much investing opportunity you are missing daily by calculating your everyday expenses and singling out the stuff you don’t really need. The sad truth is that the entertainment industry is such a desired and competitive destination that very few make it there. The good news is that those who do all have something in common—hard, dedicated work. Such is the case with DJ MLK, whose story of becoming T. I.’s DJ is covered by moneycrashers.com. If you want to maximize your potential and are aiming for the big money you have to build a strong personal brand. This actually goes for succeeding in any industry, and DJ MLK’s story shows that working for somebody successful doesn’t mean you should get complacent. Did you find the posts useful? Have you already put their advice to use? What else do you do to manage your finances?